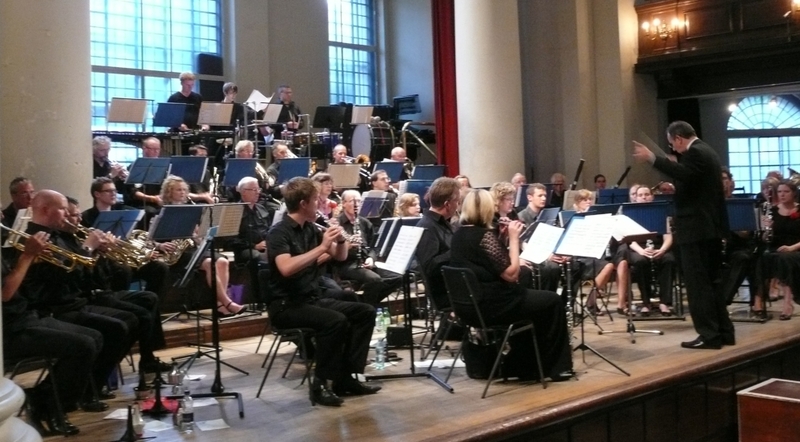 Founded in 1973, the Croydon Symphonic Band has been making music in Croydon and trailblazing the performance of original works for symphonic and concert bands. We also like to play lighthearted selections from musicals and shows as well as jazz, big band and classical arrangements. ur concerts have been performed regularly at Fairfield Halls since the band was formed, initially in the Arnhem Gallery and from 1998 in the Concert Hall until its closure for refurbishment in 2016. Other concert venues over the years include St John's Smith Square, London, Croydon Minster and Trinity and Whitgift Schools Concert Halls. The Band also performs outdoor concerts, venues including various Royal Parks in London, Hever Castle and Eastbourne bandstand. At Whitsun, when the opportunity arises, we try to include a European visit and in recent years we have performed in Heidelberg, Germany, at the Jardin du Luxembourg in Paris, the Koningin Astridpark In Bruges, the Fantasyland and Videopolis Stages at Disneyland, Paris and in Autun and Chattillon-sur-Seine in Burgundy and Meaux in France. From time to time the Band takes part in the National Concert Band Festival and since 1994 has been invited to perform nine times at the National Festival, which is by invitation only. The Band achieved its 6th Gold Award at the National Festival held at the Royal Northern College of Music in Manchester in April 2015.